Chrysler is an elite brand of cars that take pride in the level of efficiency of their car and systems. You have the guarantee that your vehicle will be in a good state, provided you take good care of it. This extends to car keys. However, like any metal part, with continued use, they tend to wear out. The metal parts become weak, and can easily bend. This then translated to breakages or bends, which tend to be very inconvenient. Imagine getting to your car to have the key get stuck in the locks. To avoid all these situations, it is advisable to have an expert replace the key for you. Chrysler key replacement may be expensive at the dealers’ outlet. For this reason, Mobile Locksmith Squad takes it upon itself to provide the alternative at more affordable prices. When is it time to have a Chrysler car key replacement? When you lose your car keys, it becomes almost impossible to gain entry into your car without damaging the locks. However, with new technology employed by Mobile Locksmith Squad, Chrysler car key replacement is no longer a hassle. Our automotive locksmiths will measure the dimensions of the locks and produce a replica of the lost key. If you break your keys, there is no need to worry. Broken keys are one of the most common reasons why most people have to replace their keys. In case your keys snapped in the locks, when they fell on the ground or due to any other reason, you will need an urgent replacement. In most events, you might break your key when you apply too much twisting pressure. Regardless of the reason, call Mobile Locksmith Squad for high quality, fast and affordable Chrysler car key replacement. Anytime anyone breaks into your car, and you become more cautious about the security of your property, and car as well. Therefore, you need to take extra measures to make sure it never happens again. You can achieve this by rekeying your vehicle. Conversely, you could get the same key but reprogram your car. Either way, you reduce the chances of the robbers getting another opportunity to break into your vehicle. There are many more reasons why you would want to replace your car keys. However, for you to get a car key that matches your locks, you will need to consult with an expert, when it comes to Chrysler car key replacement. Mobile Locksmith Squad has its place in the market. Rated the best and most affordable service provider, we can guarantee that you will only get the best. The main aim of car key replacement is to ensure that you are secure. Therefore, whenever you need a spare key for emergency purposes, consult with one of our expert automotive locksmiths. We will cut every ridge and curve to perfection to ensure that you get the key meant for your Chrysler. In case you lose your car keys, you will have to replace them. However, a professional will tell you that our Chrysler car key replacement goes over and beyond getting another key. You will need to change the program with which the key operates. This way, the lost key becomes invalid. As a result, you have the guarantee that you will not lose your car too. Chrysler keys come in various forms. If you are old school, you go with the manual key that you twist and turn to open the lock. However, with the new technology invading the industry, the keys have also upgraded. Now, you can open your car from a distance. This is because of the new transponder key. However, they may break, or malfunction. Should such occur, what do you do? 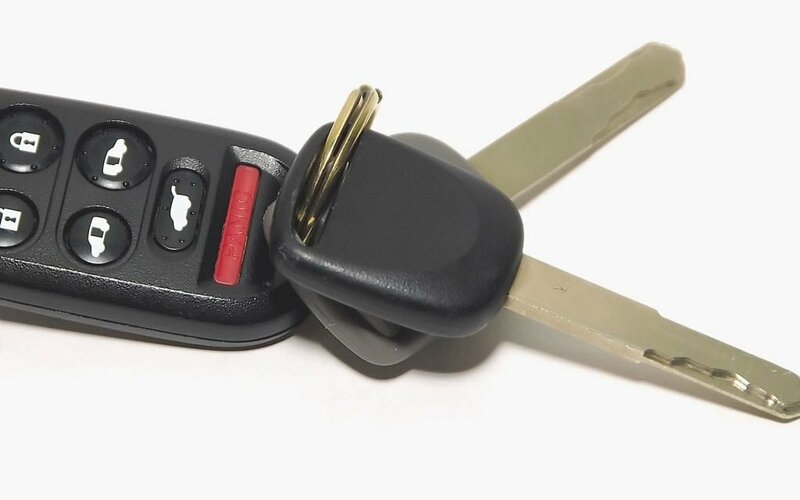 At Mobile Locksmith Squad, our team of Chrysler car key replacement will ensure that they repair your transponder chip and ensure that you are back to normal life. One of the root problems we face from various Chrysler drivers in car key battery. More often than not, the problem is not the key, but a drained battery. However, changing it yourself can be risky. You could end up damaging the key extensively. If you need help with the keys, the Mobile Locksmith Squad are the people to call. If you are in urgent need of a Chrysler car key replacement service, reach out, and we will be at your location in no time.